Today the FIFA 2018 World Cup begins in Russia. Ukrainian artist and illustrator Oleksiy Pyliov created an alternative schedule for this year’s World Cup. 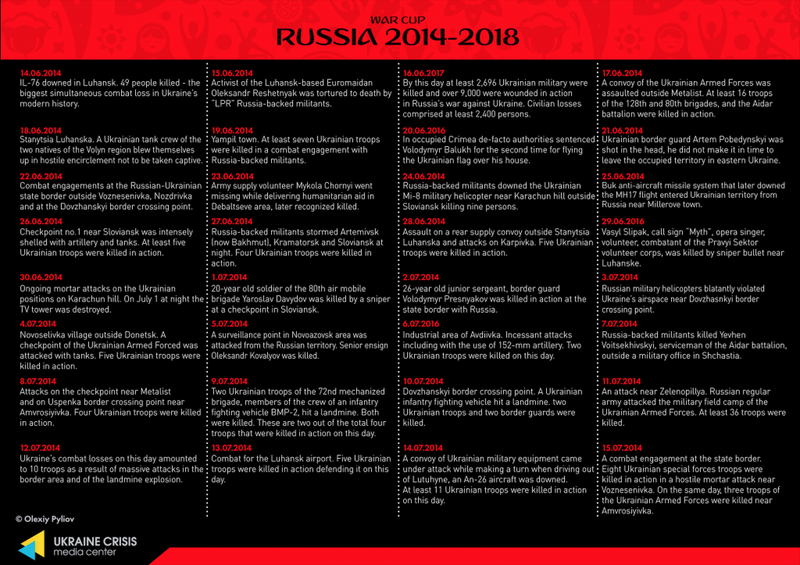 For every day of the Championship, Russia has already committed a crime in Ukraine starting in 2014.